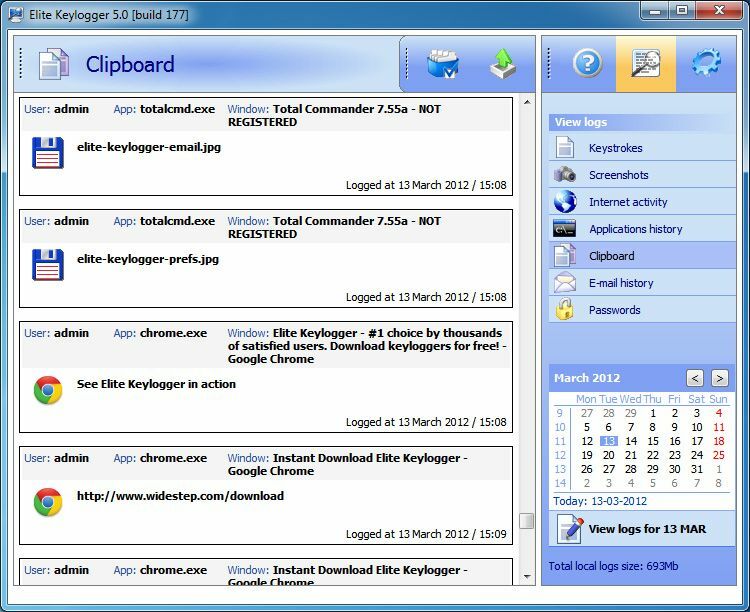 Keylogger for Windows & Mac. Invisible. Free Download! 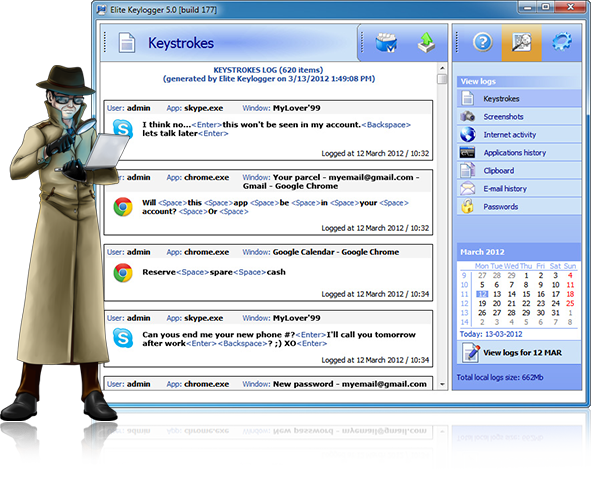 The best keylogger for Windows. Elite Keylogger 6 for WIndows is here! The new version of the award-winning driver-based keylogger supports Windows 10 and delivers new UI. Changelog. Our password tracker will capture all usernames and passwords typed, including email and social network logins. Know exactly what is being viewed when our hidden keylogger snaps photos of the screen at regular intervals. This perfect family keylogger will help you keep your kids safe. Monitor their chat and social networks as needed. 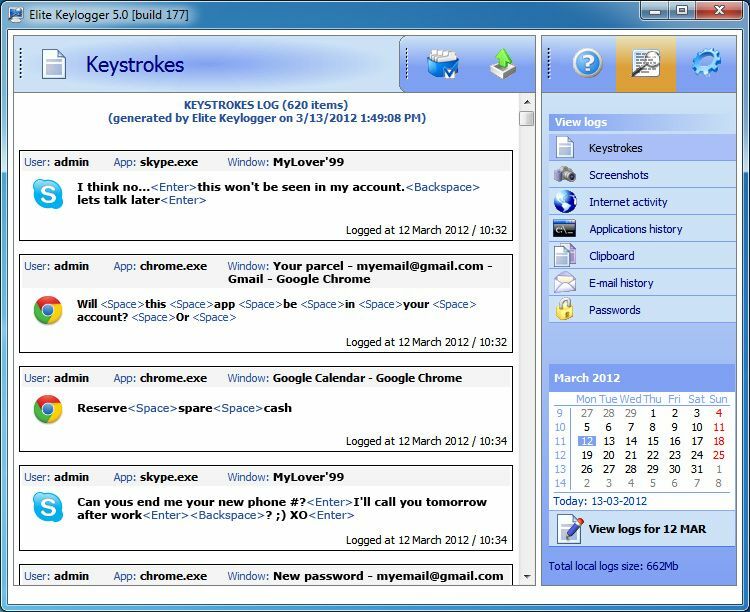 With our invisible keylogger, you can read instant messages (IM), chat and email typed on the computer. The perfect keylogger for businesses. Track employee applications used and pages printed. This keystroke logger + recorder will record all websites visited - even if the browser history is deleted. Perfect Keylogger! 100% invisible, easily installed. Now I know everything about my wife's online habits. Thanks to developers! Elite Keylogger PRO is the best keylogger for remaining undetected and it cannot be detected by antivirus or antispyware programs. It does not show up as an active application and is not listed in the Programs folder. The only way to reveal our hidden keylogger is by typing a secret word and then a password. Only the best keyloggers, like Elite Keylogger, are constantly updating in order to remain undetected. 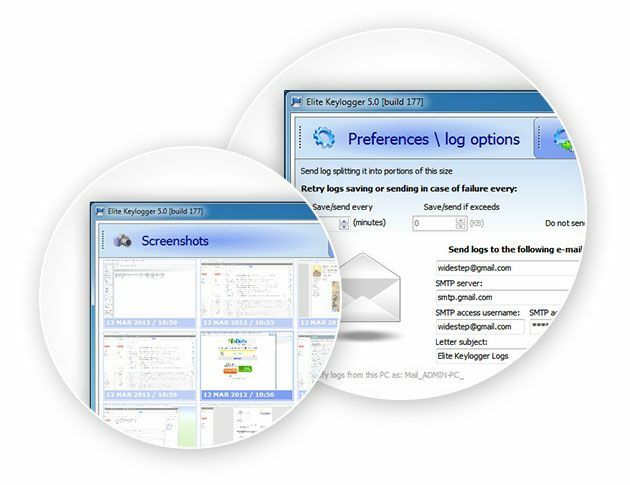 Once the keystroke logger + recorder is installed, you have multiple methods for receiving the logs. Reports can be emailed to an email address that you specify. Or logs can be uploaded to an FTP site, and you can download the keylogger reports at your leisure. A third option is to secretly load the reports onto a USB flash drive. It’s the perfect keylogger for remote monitoring. 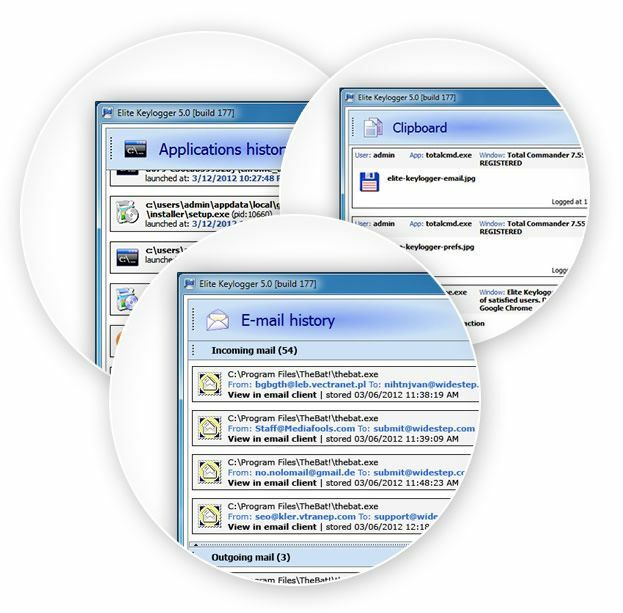 One of the best things about Elite Keylogger is that it is free to try. The main difference between the free-to-try and full versions is that the free keylogger does not allow you to see passwords. All passwords are blurred out, as well as screenshots. The free trial lasts seven days. 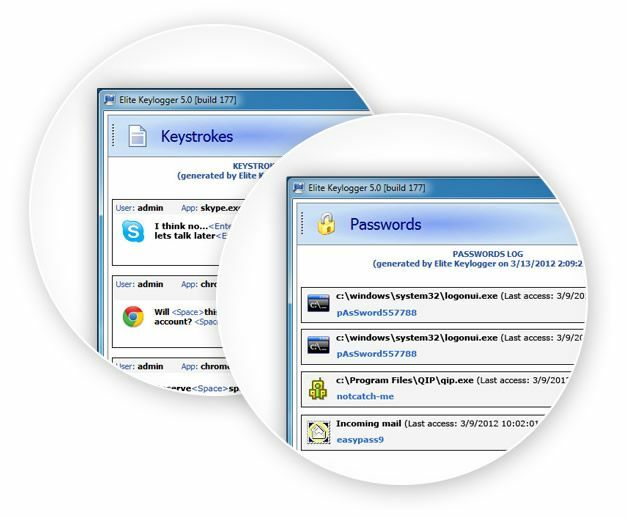 If you have the need for a keystroke logger that includes password tracking, then you’ll need to upgrade to the full version of Elite Keylogger. Yes, hidden keyloggers are legal to install on a computer that you own, or a computer that you have been given administrative privileges on. An administrative password is required to install Elite Keylogger. While legal, it is up to you to decide whether it is ethical, and it is your decision whether or not to tell users they are being monitored. So what are you waiting for? Download our keylogger today and see for yourself!